Your ladies will love it! Get together for some crafting fun! Time for some stress-relieving camaraderie. 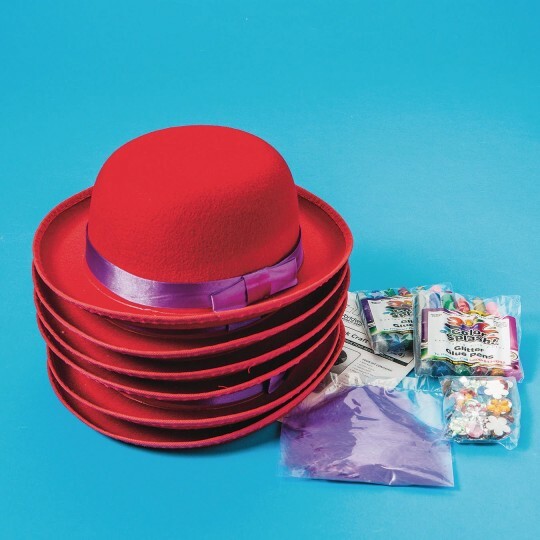 Everything you need to make fancy hats! design your own hat! fun and easy! Ladies had lot's of fun! Only suggestion for improvement is to provide a better quality glue. Great for women's activity group. Although these hats are small they work well with female senior Red Hatters. Some craft accessories require hot glue which must be used by Program Director only. 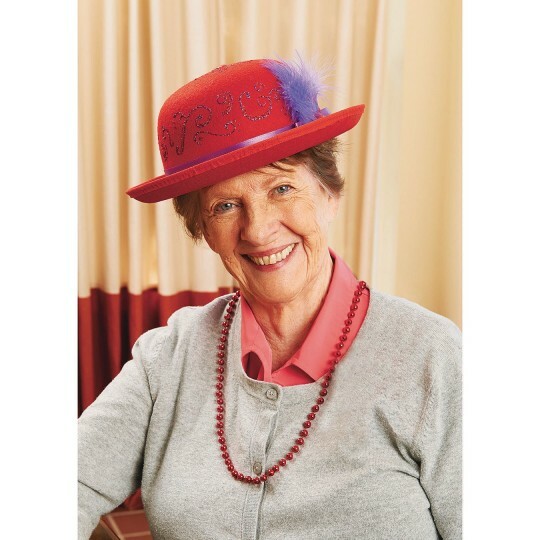 All in all a nice product and excellent Red Hat craft idea! We formed a Red Hat Club. Each member decorated their own and hat and prizes were awarded to the top two participants with the most votes.